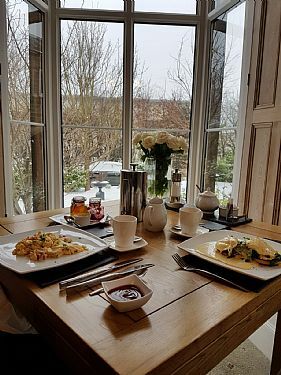 Formerly a gentleman’s residence and originally built in 1740 then extended in 1904, Sheriff Lodge is now a relaxing and tranquil Bed & Breakfast, away from the bustle of the town but still within walking distance. 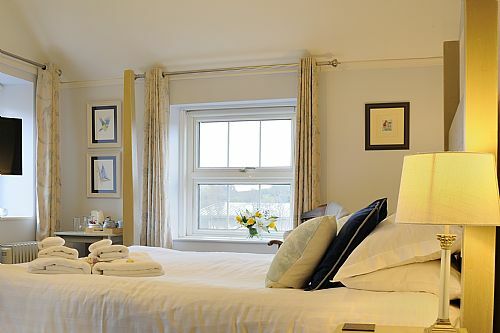 In an elevated position, the rooms have a wonderful view of the Derwent Valley and Riber Castle. 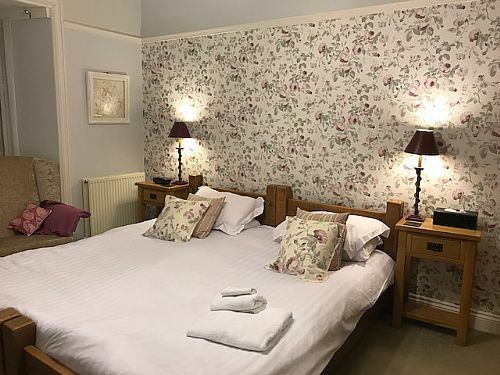 All five en-suite rooms have all been re decorated this year for a fresh, uplifting yet peaceful feel with lots of extras to make your stay more comfortable ie ‘Things You May Have Forgotten Box’, seven foot beds, extra blankets, extra pillows, sweeties as well as what you would expect on the hospitality tray and more. No worries about car parking or cycle storage as there is plenty of room to everyone. 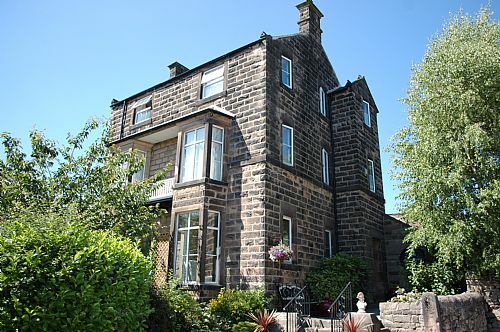 Derbyshire is a beautiful area of the country and there is something for everyone here, attractions for small people, walking, cycling, fishing, stately homes, antique shops, a host of excellent restaurants – all very close and easily. Since my arrival, in December 2017, I have been working hard to acquire discounts for various attractions, eateries and Houses in the area so please ask if you are likely to book before staying. Everyone loves are bargain and I hope these discounts will make you feel you have had value for money at Sheriff Lodge. Sheriff Lodge is also one of the few dog friendly B&Bs in Matlock so if you want to bring your furry friend please phone for availability.